There is still a bit of camouflage around the lights. Front and rear. 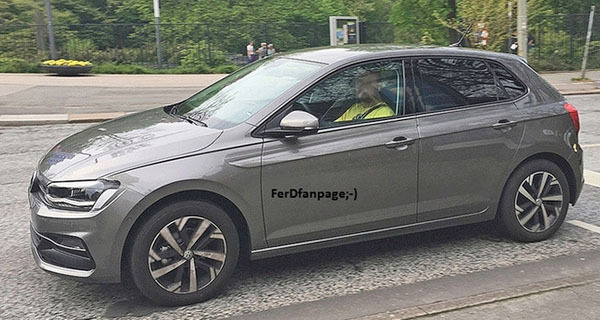 Otherwise, this gives us a really good idea of what the next Polo will be like. Previous generations have been huge sellers in Europe, but it has never been offered in the US. A few years ago, VW mentioned they would sell the next generation over here. So we might be getting this one after all. It would be competing mostly with the Ford Fiesta in the US. If they sell it, it might be a while before we actually see one. Since it seems to take VW years to bring their new models over here. What we are getting first, is an all new Jetta. Before the end of the year. So we might see it at the L.A Auto Show.